On Saturday 24th February I was honoured to be chosen as the guest speaker for #SkillsFest2018 in Barrow in Furness, South Cumbria. Skills Fest is an annual celebration of jobs, placements and opportunities in the South Lakes / Furness region of the Country. The event was run by Inspira, Hello Future, FESP and other sponsors and supporters. There were over 50 exhibitors from local colleges (Lancaster, & Morecambe Furness and Kendal) and Universities (Lancaster, Cumbria, Cambridge, Oxford, UCLan and Edge Hill) through National companies like GSK, NHS, Royal Navy and BAE Systems to local businesses keen to showcase their career paths, apprenticeships and job opportunities. Over 4,000 visitors attended, many young people and their parents and guardians, and left inspired to follow a new or reinforced pathway for their success. (Have a look at the #SkillsFest2018 hashtag on twitter to see what a great event it was). I was lucky enough to deliver my #LAUNCH session which I’d specially-adapted for the day, a total of 3 times. The audiences grew throughout the day (from a small 40 ish at 10 am to more than double that at 2:30. That we respond to experiences and meeting people in various careers. Targeted opportunities to learn about careers are essential. Many parents who had been in my session seemed grateful that the event was helping their young person to consider their futures and that the resources I had used either confirmed or made them question their own decisions…but that it was good to have the chance to experience something that was making their child think differently about themselves and built some belief on the possibilities that lay ahead of them. (Whether following a standard / formal career path, or hope that their collected ideas were all possible but maybe needed a different approach. In my final presentation of the day I was delighted to be joined by Bill McEwan – the Deputy Mayor of Barrow in Furness. He sat in the front row of the session and fully joined in…afterwards we had a chat. Born in Greenock, he worked in the Shipyards before coming to Barrow in the mid-1960s with a job at the Barrow Shipyard (now BAE Systems). We chatted about careers and we agreed that although the ‘job for life’ is now much less of a reality, Bill agreed that there are platy f chances for people to find what they wanted to do and the problems they wanted to solve. See the top of the article for the picture of me with Bill. 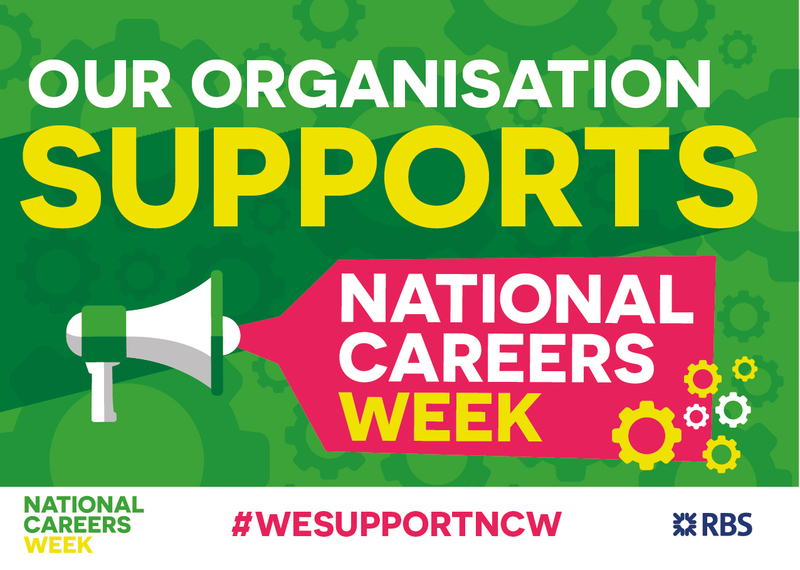 Thanks for reading – keep tuned to the twitter page @EnterpriseSBox for what we’re up to and follow #NCW2018 for Careers Week updates and inspiration.